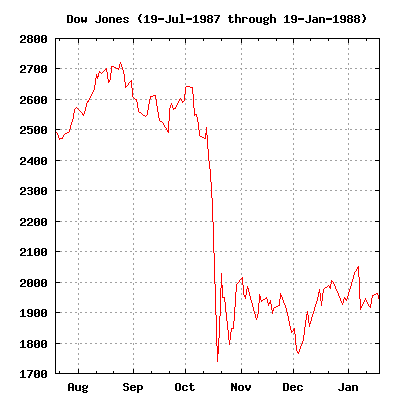 20 years ago today the financial markets saw the largest one-day percentage decline in Dow Jones history, aka Black Monday. I can still remember where I was when I heard the news. I was sitting in the gym of Washington Catholic High School in Washington, Indiana watching the basketball team practice and I can remember Peter Jennings delivering the news and looking shell shocked. That was my first experience of investing in the markets and I saw a hugh part of my capital disappear that day. It was a great lesson to learn early on and it got me even more interested in the financial markets. It was also around this time I discovered Lou Dobbs of Moneyline and got hooked on watching my daily dose of financial news. The report by the Securities and Exchange Board of India (SEBI) outlined measure to control the foreign flow of funds into India via P-Notes. Of course, it wasn’t so clear in the report and that led to speculation that the gov’t was shutting the door on foreign funds. When the market opened on Wednesday at 9:55am, within 45 seconds the Sensex had dropped over 1700 points and triggered a one hour trading stop. Which was expected because many people inferred that foreign money would have to exit India. However, around 10:35am the finance minister P. Chidambaram came on TV and said the reason for limiting P-Notes was to steer foreign funds down the path of FII registration with SEBI. 1. Register as a Foreign Instituional Investor (FII) with SEBI. Dealing with any Indian governement entity is a pain, but SEBI has been especially painful. I know of several funds that tried to register but got rejected because their marketing material used the term “hedge fund.” SEBI wants full transparency and hence doesn’t like hedge funds…or so they say. 2. Skip all registrations and goto Merrill or Goldman and open a prime brokerage account. When you hit the buy button on 20,ooo shares of Reliance, Goldman will buy the shares for you and hold it in their name. Then Goldman issues a bilateral financial contract (aka P-Notes) to synthetically replicate the economic returns of the underlying shares. The problem is that this creates a hugh reporting void for SEBI, since they don’t know who actually owns the shares. So SEBI in effect is driving hedge funds to act like hedge funds and be opaque about their holdings. In summary, hopefully this shift away from P-Notes to FII registrations will give the market more clarity and SEBI more transparency it so badly wants. I’m hooked onto Yet Another Google Service (YAGS)…this one is GrandCentral. It’s a phone service that is essentially a call router. You get a new number from GrandCentral and then you configure the service to call up to 3 other phones. I first thought it was a Skype replacement but in fact it’s not. You actually need Skype or a working US phone. My biggest complaint about Skype is that when someone leaves a voicemail i won’t get notified until I login, they really should just shoot you an email. With GrandCentral if someone leaves me a voicemail i get notified right away. Also, during the beta test calls are free in the US. I really see this service being useful if you have 10-15 phone numbers all over the US and want them to aggregate back into one. Which is similar to how I use gmail, I have 4-5 accounts that all collapse back into my main gmail.com account. I routinely joke that Indians are bad at math, because the rates that people pay for financial products here in India is sometimes off the charts. The interest rate on credit cards right now is around 37% a year – ouch. Till 2 years ago, as an Indian citizen you could not remit more than USD 25,000 out of India. That has now changed to USD 200,00 and that is a hugh number in India. Consequently many companies are trying to get a piece of that action – enter ICICI. ICICIdirect.com the online trading platform for the bank has established a partnership for the US markets to trade NYSE and NASDAQ listed companies. Now the math, ICICI will charge the client 75bps on the transaction cost, so a USD 20,000 trade will cost the client USD 150 for brokerage. I haven’t seen those type of brokerage rates since the 80’s when I was in high school getting screwed by my broker at Merrill Lynch as he was handing off half-assed research reports. For any Indian citizen looking to remit money outside of India, I would highly recommend you open up an E*Trade account in either the US or Hong Kong and pay a flat USD 10 per trade. The ICICI partnership is a good deal for people that are bad at math and don’t know how to multiple USD 20,000 by .0075. 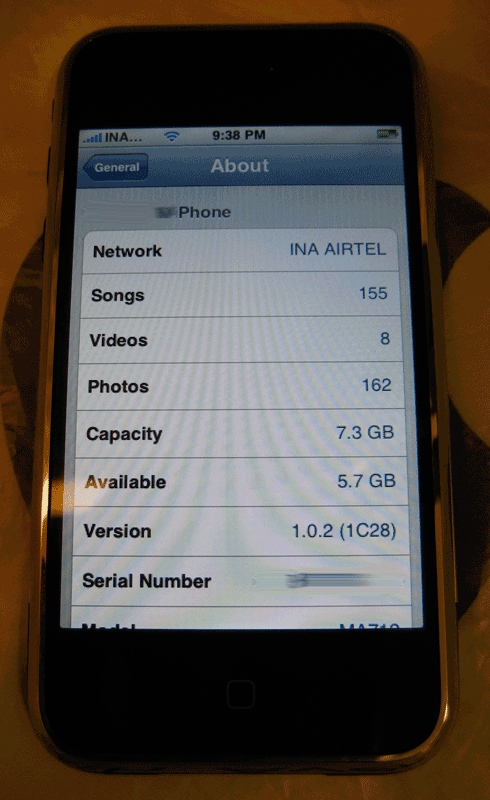 After buying the iPhone at the Fifth Avenue store in NYC, I finally got around to unlocking it so it works in India on the Airtel network. When I was in NYC I used the AT&T prepaid service for a couple of weeks and the phone is great. It has a slick interface and definitely has a high sizzle factor. I was able to unlock the phone with instructions provided on the web (with some help from a cousin), but it ain’t for the faint of heart. If FTP, SSH or BSD sound like scary acronyms then I suggest you stay away from doing this on your own. Apple is telling people that unlocking the phone is a no-no. I can see their viewpoint, if the reports are true then Apple earns 10% of the revenue generated from an iPhone user. So if the user has an unlocked phone, they can use any network and Apple is cut out of that revenue stream. It ain’t personal it’s business. 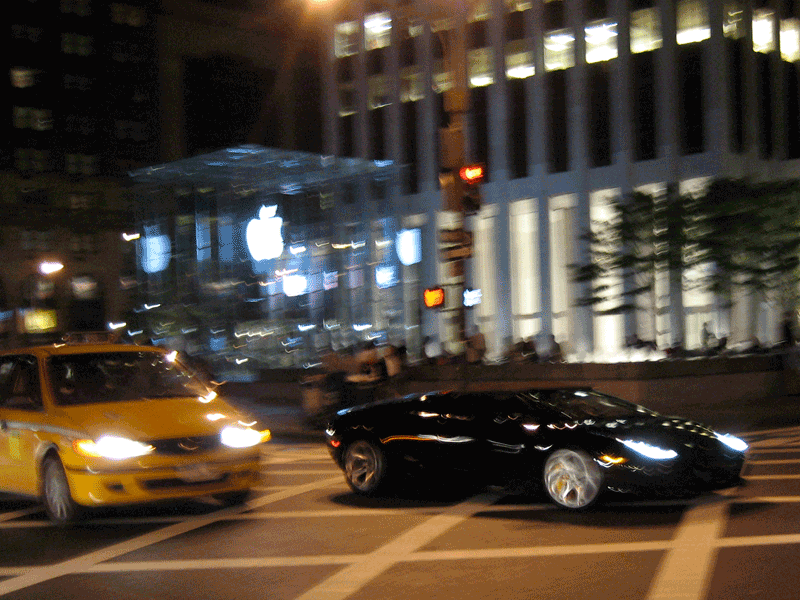 I love that pic of the NYC store – Mac’s and Murcielago’s. 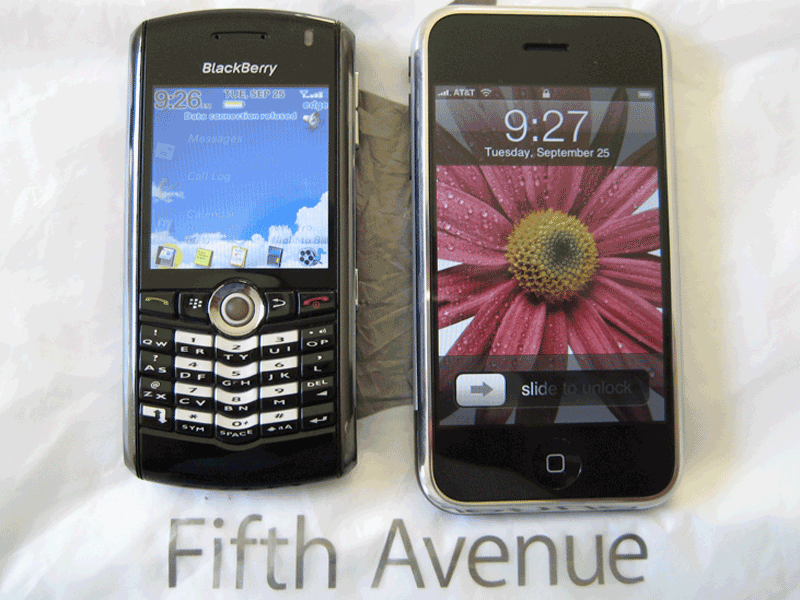 The other pic compares the BlackBerry Pearl to the iPhone.